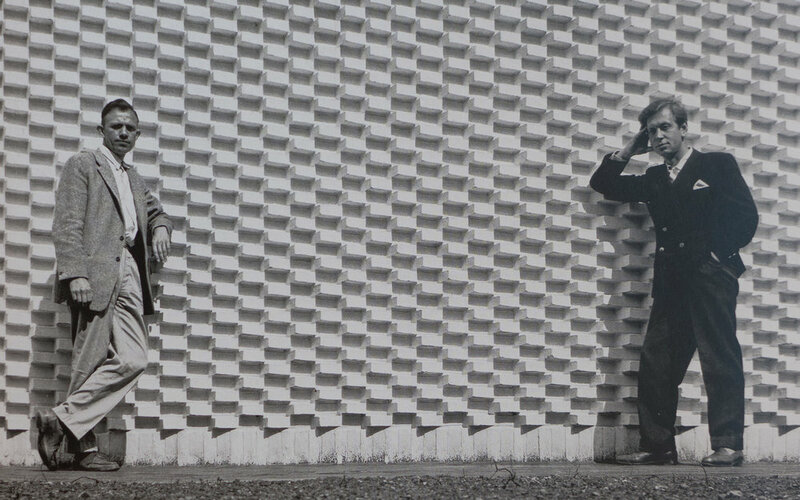 This year marks the 60th anniversary of the opening of Louisiana Museum of Modern Art. The entrance to the museum is through a 19th-century house - a private villa built in 1855 for Alexander Brun (1814-1893) that was set back on the east side of the coast road from Copenhagen to Helsingør - just north of Humlebæk - with extensive gardens looking out over the sound. 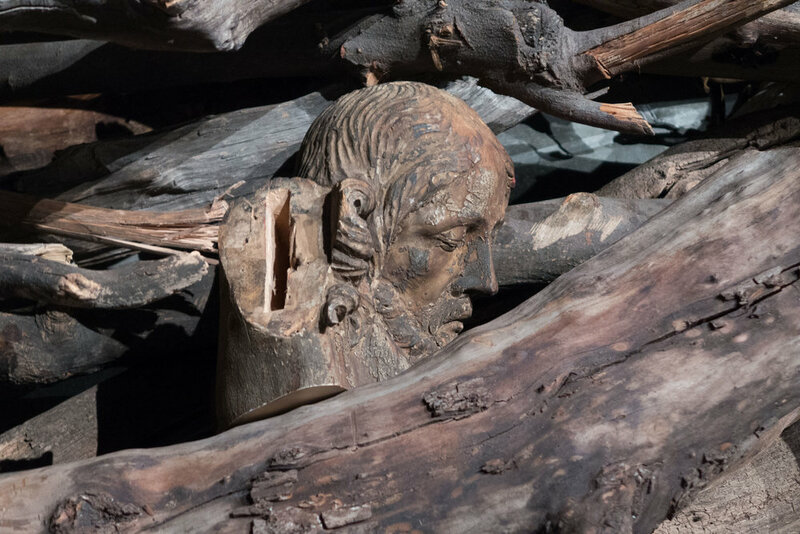 It is said that the new museum was called Louisiana - because all three of the wives of Alexander Brun were named Louise - and the name was kept when the villa was purchased in 1955 by Knud W Jensen - a businessman, writer and patron of the arts who founded the new museum. 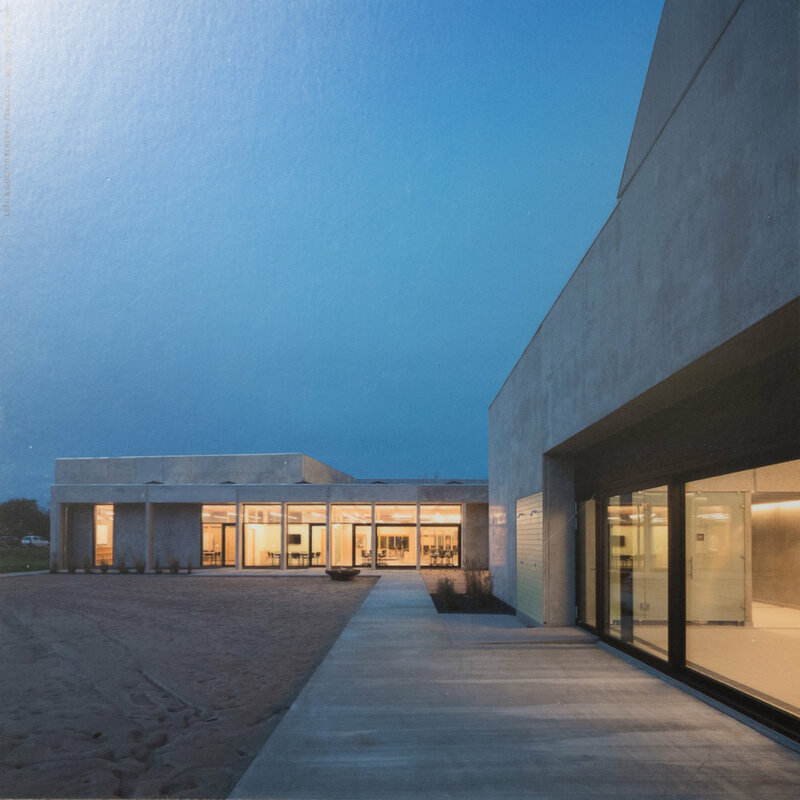 New buildings were designed by Vilhelm Wohlert and Jørgen Bo with covered and glazed corridors that link three large, well-lit gallery spaces to the house and together form an arc around the north side of the main lawn. Louisiana Museum of Modern Art opened in 1958. 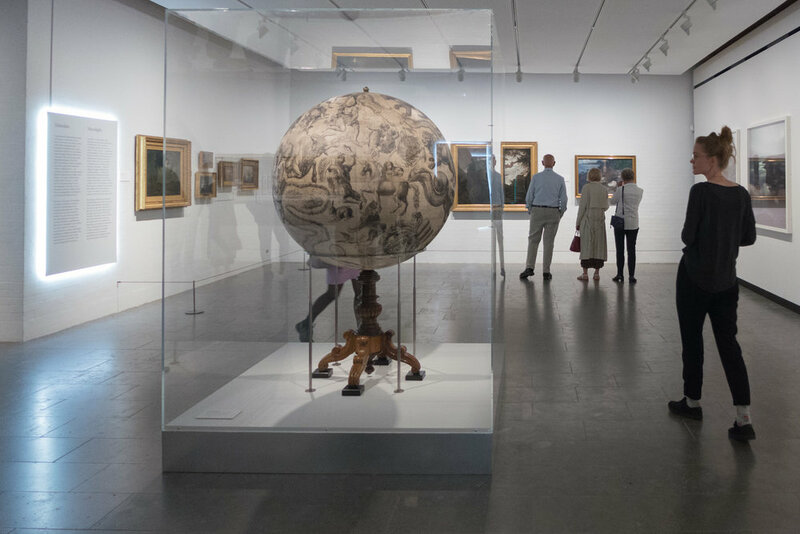 To mark the sixty years since the Modern Art Museum at Louisiana opened, the Louisiana Chair and the Louisiana Lamp have been re-released. 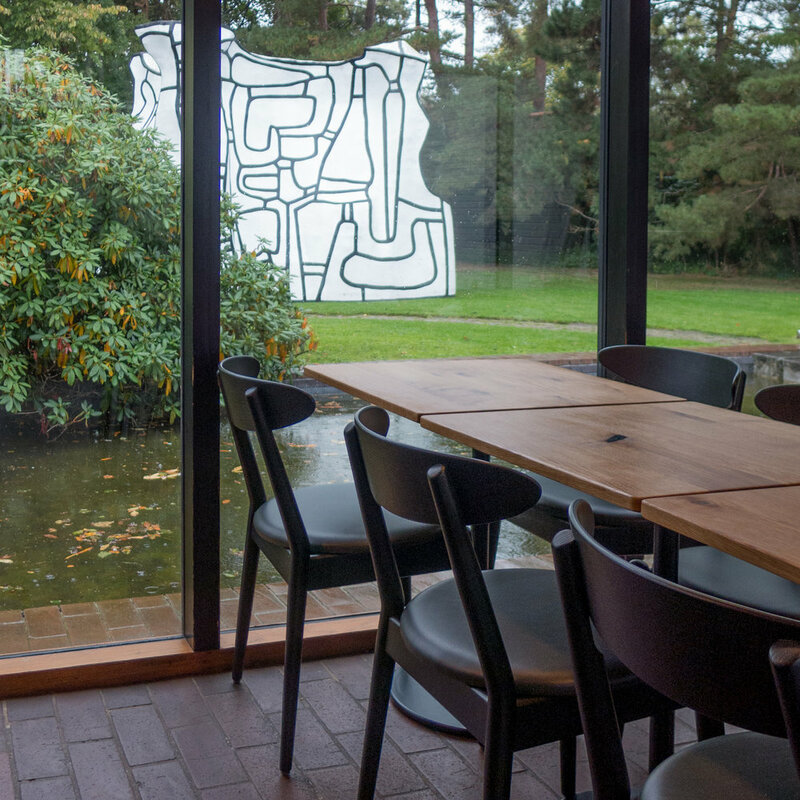 Both were designed by Vilhelm Wohlert who, with Jørgen Bo, was the architect for the museum and the chair and the pendant lamp can be seen in the museum restaurant that has been refurnished for the anniversary. Works in this exhibition are drawn from the collection and they mark major themes in art since the Second World War looking at the use of vibrant colour that has an immediate impact and at the exploration of texture and of forms for sculpture that step well beyond realism or, rather, look beyond the realistic depiction of colours and shapes and forms from the natural world. 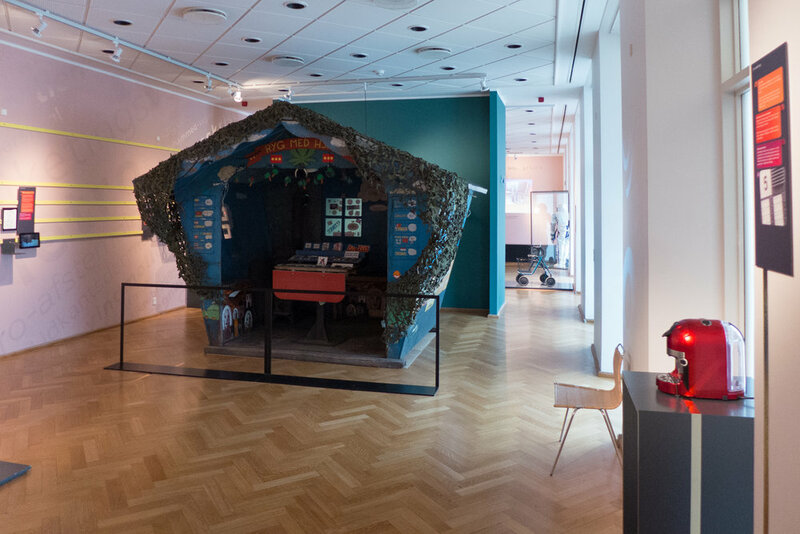 The exhibition in the lower galleries looks at two other major themes from art from the middle of the 20th century onwards … men and masculinity and war and conflict. 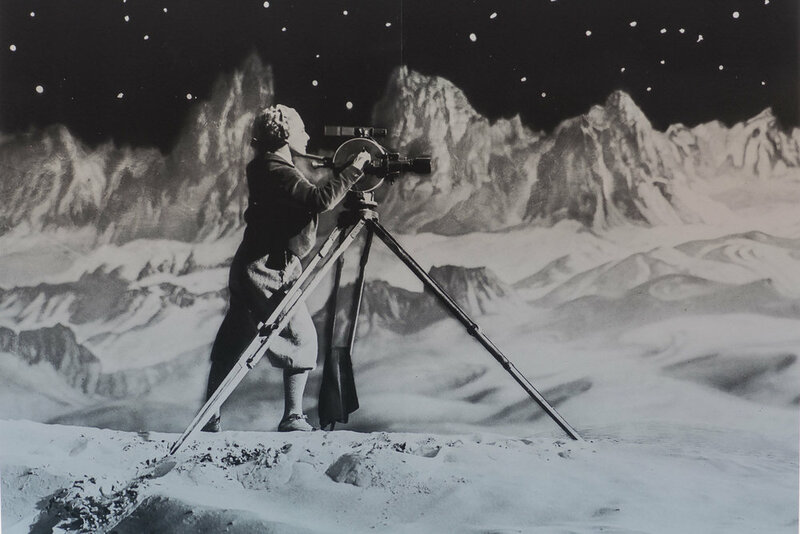 With more than 200 works including paintings, film, music, literature, photographs, maps and scientific instruments, this major exhibition looks at myths about the Moon; at the way the Moon has been shown in art and in scientific observations and study over centuries and leading to man landing on the Moon fifty years ago. 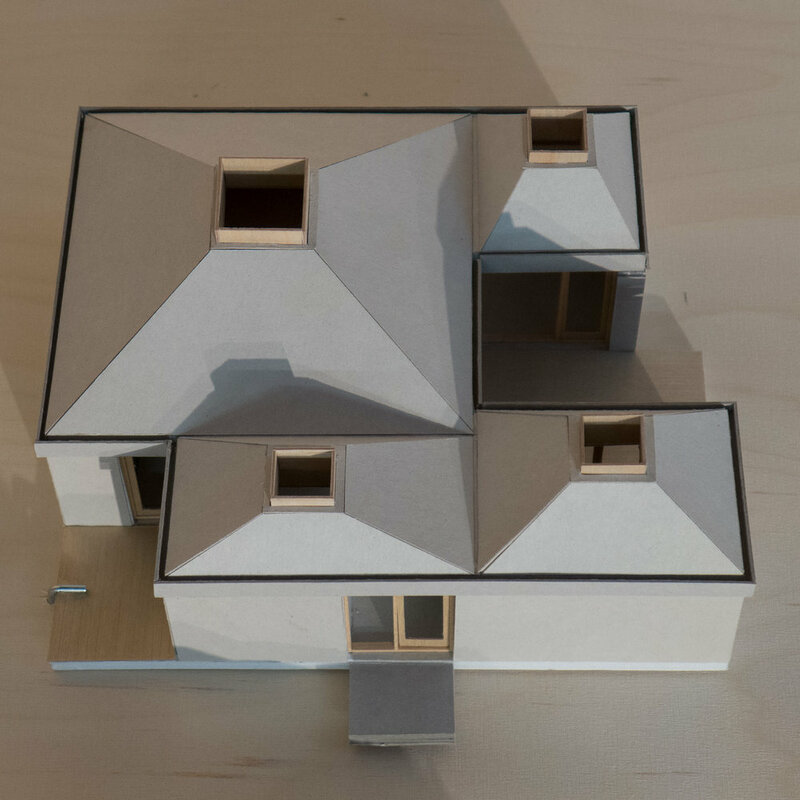 One of the series of exhibitions of the Dreyers Arkitektur Galleri to show the work of new or young architects, architectural practices and studios. 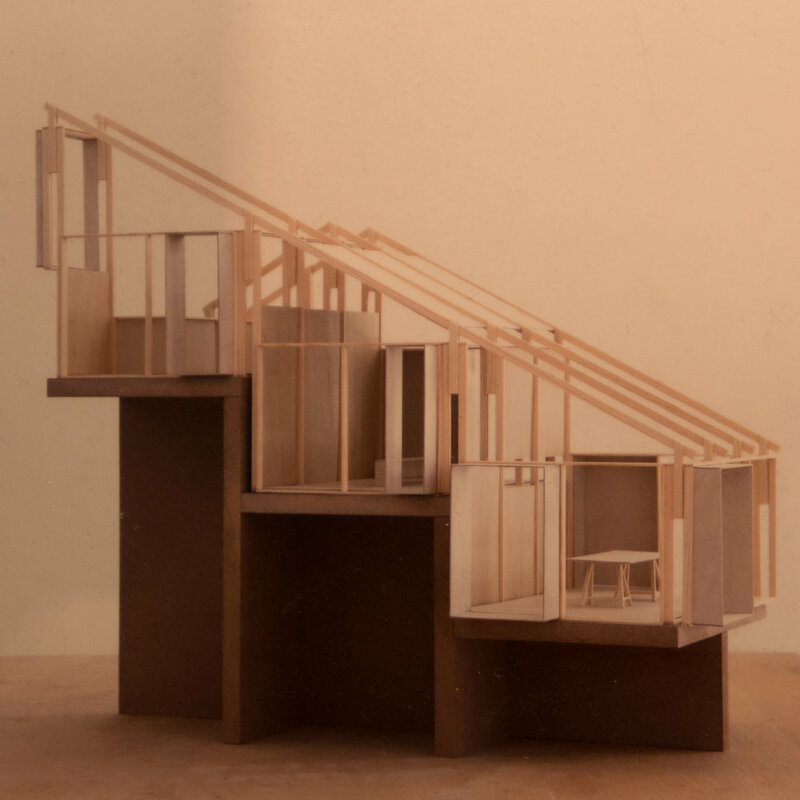 For this exhibition the architects have produced a timber-framed structure that steps down three levels of the gallery and creates distinct partly- enclosed spaces where models and photographs of their buildings are displayed. 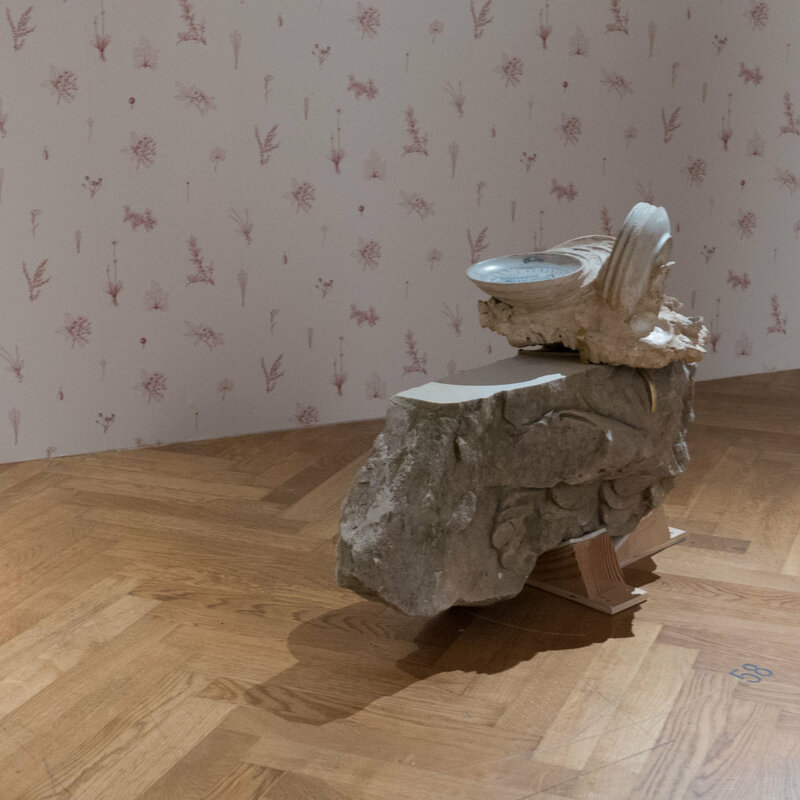 Generally, art and sculpture are not reviewed here - on a site that focuses on architecture and design - but this extensive exhibition, showing work by the artist Danh Vo from the last fifteen years, includes pieces that he has chosen from the collection of the gallery and these are presented in a way that challenges our perceptions and preconceptions and uses the architectural space extending across the lobby and the Sculpture Street of the gallery as well as the two main exhibition spaces. 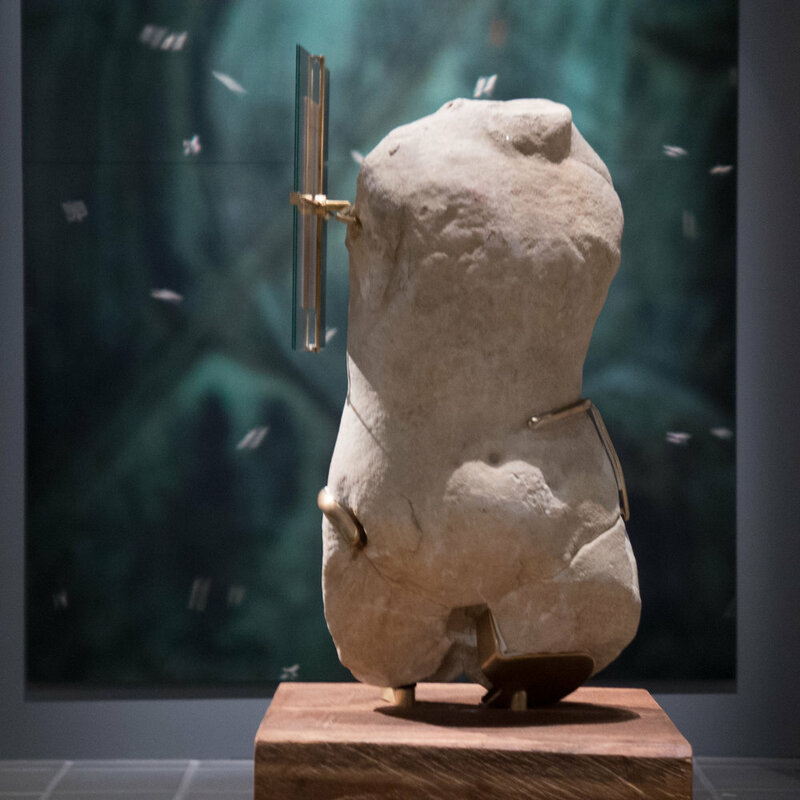 Works include sculpture, furniture, Chinese pavilions in timber and artefacts including letters and photographs. It is the juxtaposition of these elements - so a television and refrigerator and a crucifix together - that tests the boundaries we impose between art works, found objects, discarded or broken art and more mundane household objects that never-the-less have strong and important personal associations. 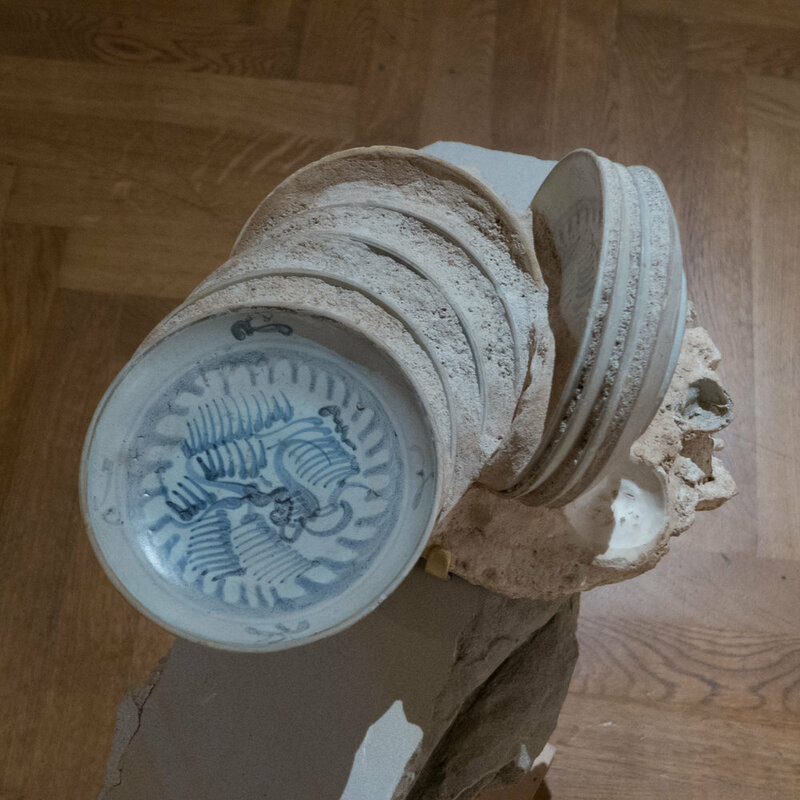 Danh Vo was born in Vietnam in 1975 and came to Denmark with his family when he was four years old. His work explores themes of migration, colonialism and religion. In the exhibition is a chandelier that hung above the table in the French Ministry of Foreign Affairs where the treaty ending the Vietnam War was signed. He studied at the Royal Danish Academy of Fine Art in Copenhagen and at the Städelschule in Frankfurt. Louis Poulsen, the Danish lighting company, have just moved their showrooms, studios and offices out from Gammel Strand in the centre of Copenhagen to the other side of the harbour to the area known as Holmen, so close to the Opera House. Dating from 1742, the building is at the north end of the Arsenalet - an important group of historic buildings around a very long courtyard, that were designed by Philip de Lange. The long west range, directly onto a canal wharf, with two long storage buildings in line that are linked with an ornate central gateway for access to the courtyard, is probably better known to tourists and visitors to this part of the harbour. The building now occupied by Louis Poulsen is still under scaffolding as restoration work is completed but the ground-floor showrooms will certainly be impressive with massive timber posts and braces - typical of these great Copenhagen store houses - and here painted white and the high space of the ground floor has views out through the arched windows to the canal across the front and through windows at the back to the grass of the courtyard beyond. At the front, areas of gravel and wide paths of stone setts are being laid out to form a large forecourt to the building. 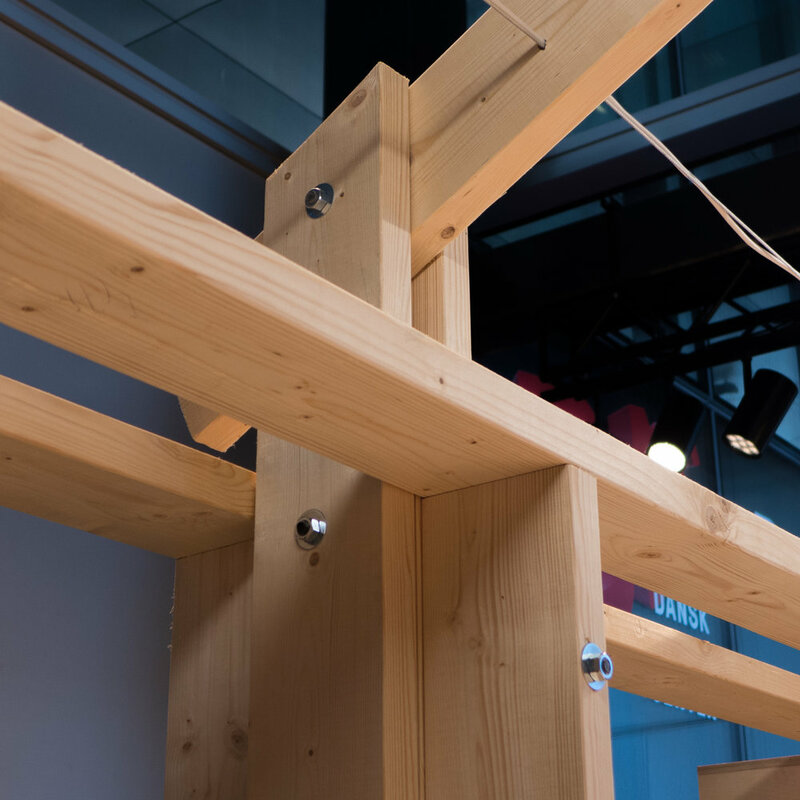 An exhibition has opened at Design Werck in Copenhagen to show major engineering and design projects that were selected for their annual award in 2017 by SIA … the Schweizerischer Ingenieur- und Architektenverein or the Swiss association of engineers and architects. Photographs are by Beat Schweizer and films are by Marc Schwartz. 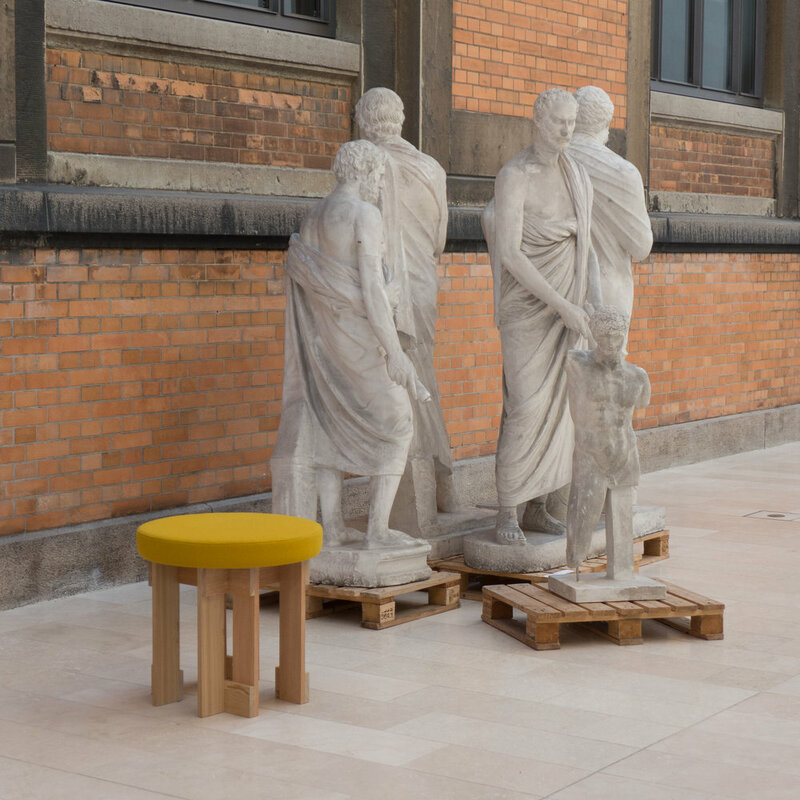 Organised through The Nordic Council of Ministers, there is a competion to design a sustainable chair that takes into account sourcing of materials and production and distribution but also considers use and disposal … a complex and demanding design brief. The closing date for submissions is the 3rd October 2018. 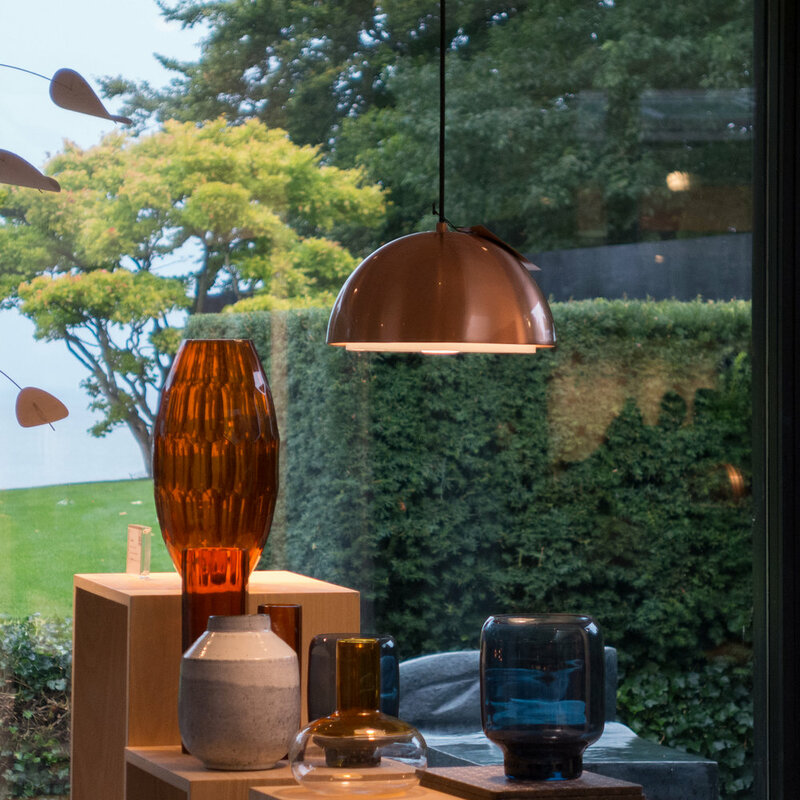 A short list will be drawn up with a maximum of ten designs from each of the Nordic countries. The winner from each country will be shown in the Nordic Pavilion at COP24 - the 24th Conference of the Parties to the United Nations Framework Convention on Climate Change in Katowice in Poland in December 2018. 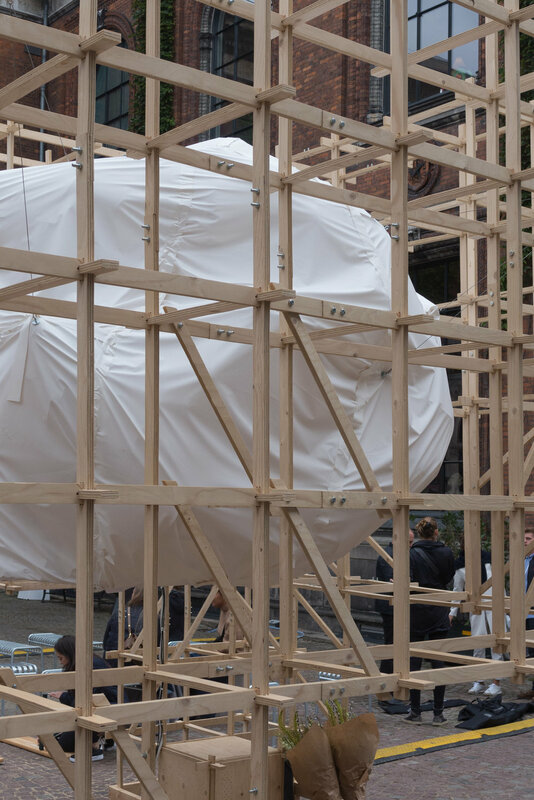 Architecture Day this year will be on Monday 1 October with events around Denmark. 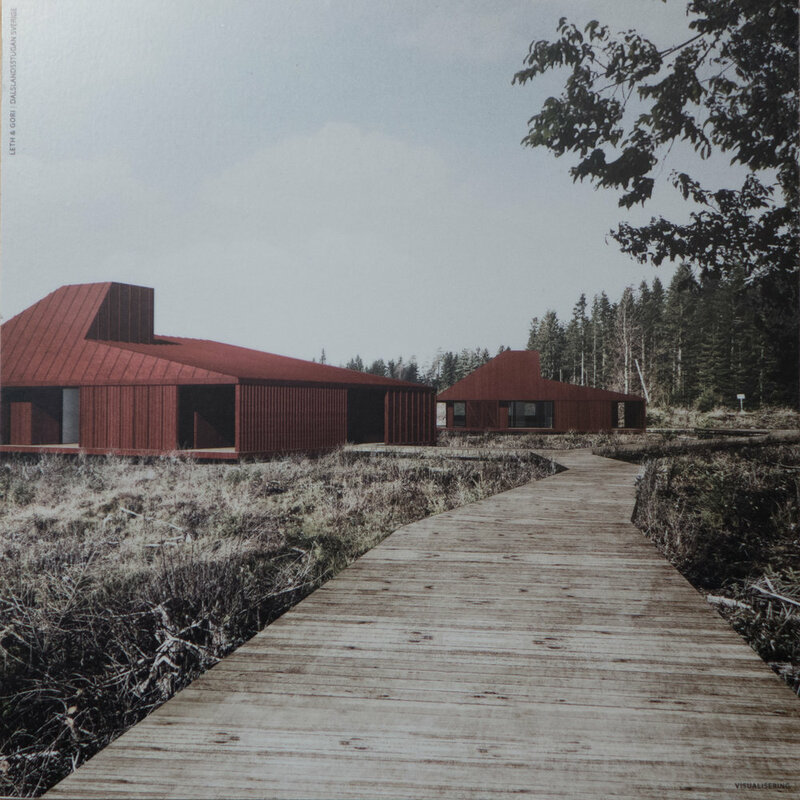 For the programme and information about times and venues see the site on Arkitekturens Dag by Arkitektforeningen - The Danish Association of Architects. Work continues at Designmuseum Danmark where the entrance gates, railings and stone piers along the street are being rebuilt and the setts of the forecourt relaid to form a new ramp to replace the steps up to the front entrance door and to install lighting and so on for new outdoor exhibition cases. 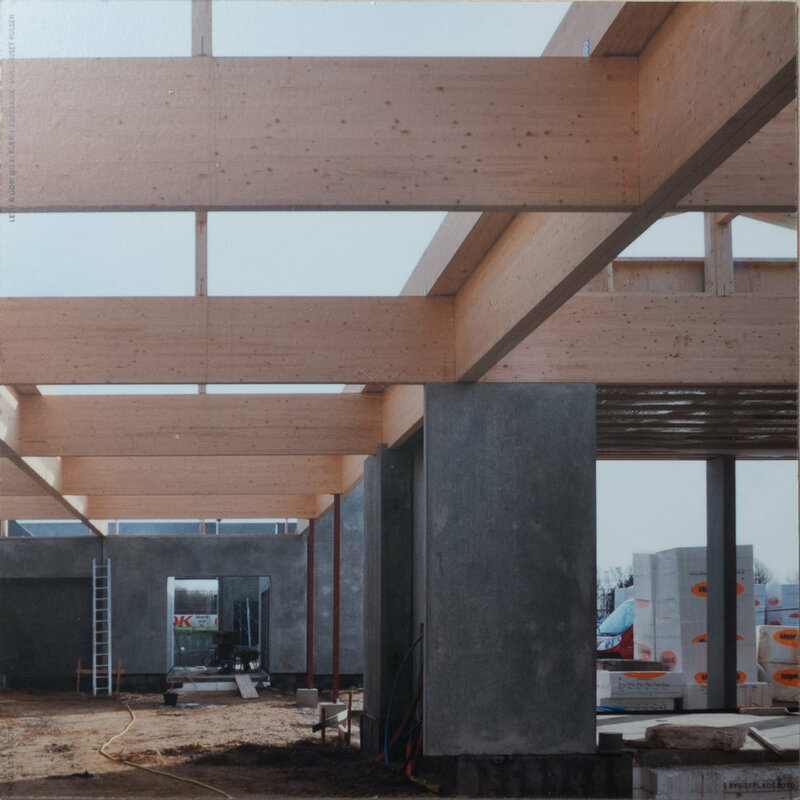 The project - designed by the architectural practice COBE - includes a new ticket area, book shop and new cafe in the lower part of the old pharmacy … that’s the pavilion to the right of the forecourt. As new blocks of stone have been brought to the site and set up, the work is an opportunity to see some of the details of 18th-century stone masons’ techniques that have been replicated … so it is possible to see the way bold mouldings are cut across large blocks to form plinths and caps to the piers. The large ashlar blocks of the stone piers and the blocks that form the moulded bases and caps are dressed back with strong vertical tooling which contributes a distinct surface texture and gives a darker tone to the architectural details. Note how at each end of the ironwork screen the outer piers are not butted against the brickwork of the pavilions but are set into them which would suggest that the brickwork and stonework were built up at the same time … not one built against the other. top left - the door into the former pharmacy of the hospital which will be the access to a new arrival space with ticket desk, book shop and new cafe. Note the silhouette in the brickwork of the ball finial and moulded cap of the stone pier that has been dismantled. Heavy spiked or barbed railings and the ornate iron gates are held in sockets cut into the blocks. At this stage the gates are back on site but are on pallets so it is possible to see the robust quality of the iron work and to see how the straps of the gate hinges form a loop that will be dropped over hefty iron ‘pintels’ set into the stonework. This major project has also been an opportunity to repair some of the stonework on the entrance front of the main building and it is interesting to see around the doorway that although the stone frame or architrave of the door looks hefty or robust, it is, in fact, made up with relatively thin slips of stone with pieces forming the moulded front and separate pieces forming the reveal or jamb running back to the door frame and the brickwork behind is surprisingly crude. 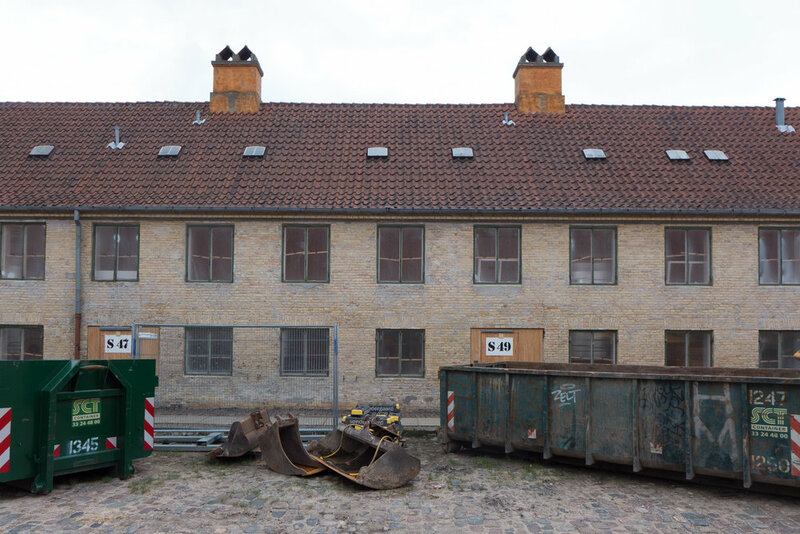 Work is progressing on a major project to restore the famous Nyboder houses in Copenhagen. 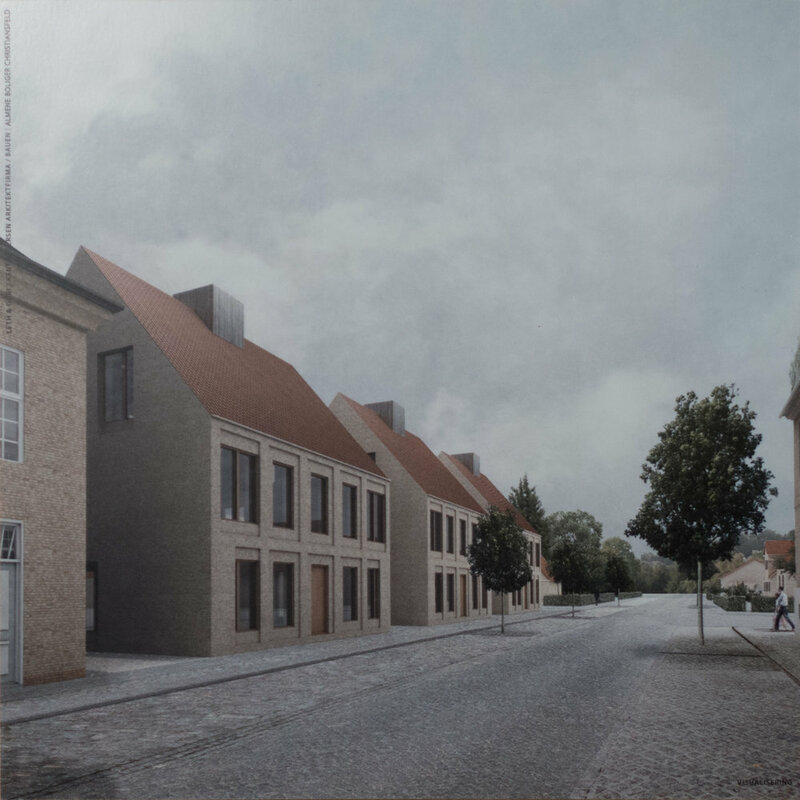 These long terraced rows, with cobbled streets and narrow yards between the rows, cover a large block in the north-east part of the historic centre of the city within the old city defences … so south and west of Kastellet - the fortress or citadel - and close to Østerport railway station that is on the site of the old east gate. The first of the rows were built in the 1630s and 1640s at the instigation of Christian IV for naval personnel and were single storey but with attic rooms. More rows - the two-storey terraces - were constructed in the middle of the 18th century and the last houses, in grey brick, date from the very end of the 19th century. 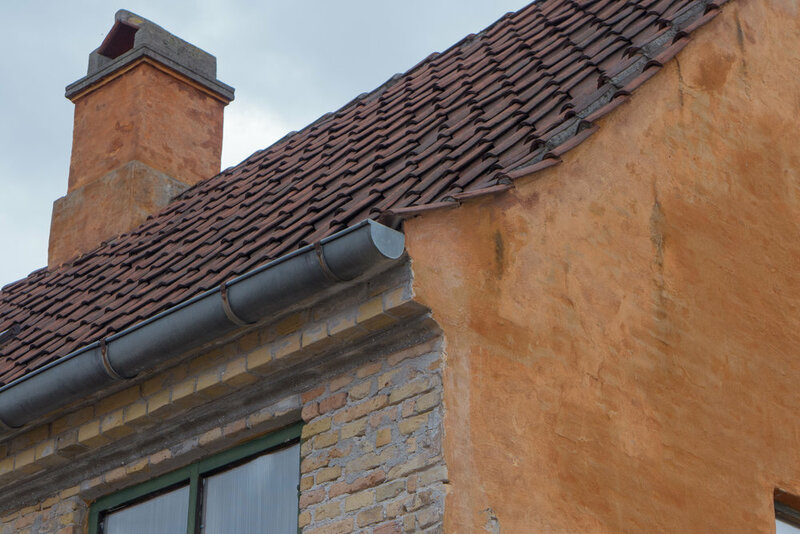 The houses from the 17th and 18th centuries were built in pale-yellow brick but given an external wash of lime with deep ochre pigment but this wash has just been removed so the brickwork can be repaired and, where necessary, repointed. Stripped of this ochre wash, the facades reveal important archaeological evidence to show clearly how window and door openings were constructed. There were no obvious lintels but lines of headers above the windows so, almost certainly, the timber frame of the floor structure would have been set out to take the weight and outward thrust of the roof to prevent the outer walls bowing out or the ground-floor openings failing under the weight of the brickwork and roof above. 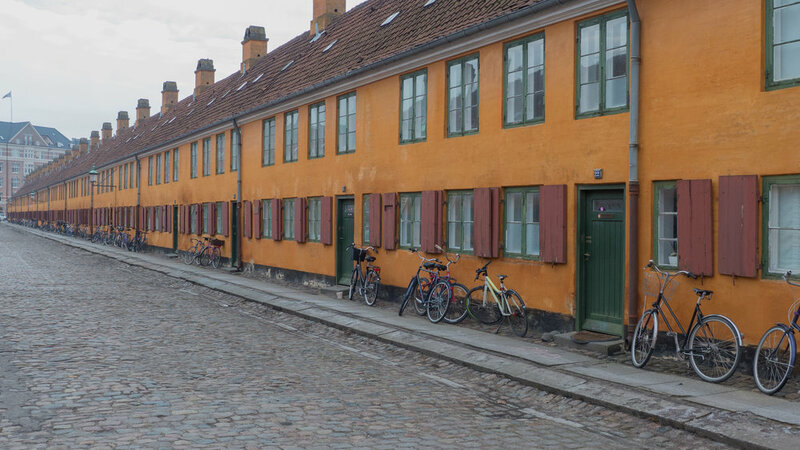 In contrast, more precise coursing in historic brickwork can be seen in a house on Wilders Plads in Christianshavn with alternate rows of different colours of brick so that brickwork was clearly built to be exposed and left without render. The Nyboder brickwork is not of the same quality so the houses must have been covered and protected with was of lime and pigment from the start. 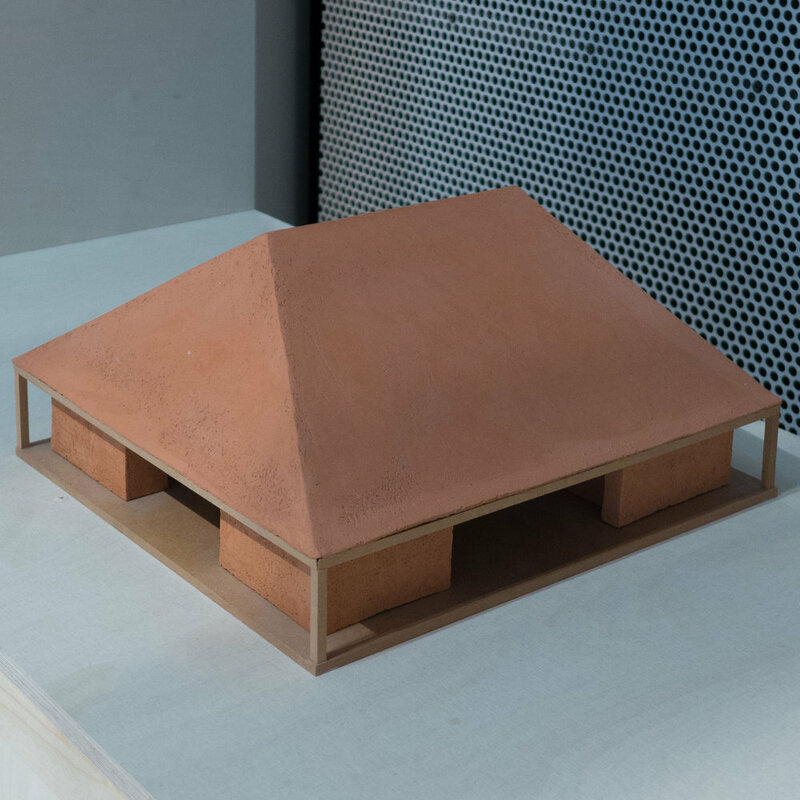 It is also clear that by using lime wash - rather than a thicker and smooth coat of render - the final surface is not just more resilient - as each thin layer is applied, the lime oxidises and bonds to the stone or brick it covers - but the visible and slightly irregular brickwork gives a texture to the surface that seems to make the colour deeper … modern brickwork, in contrast, seems mechanical and flat or, if anything, dull. 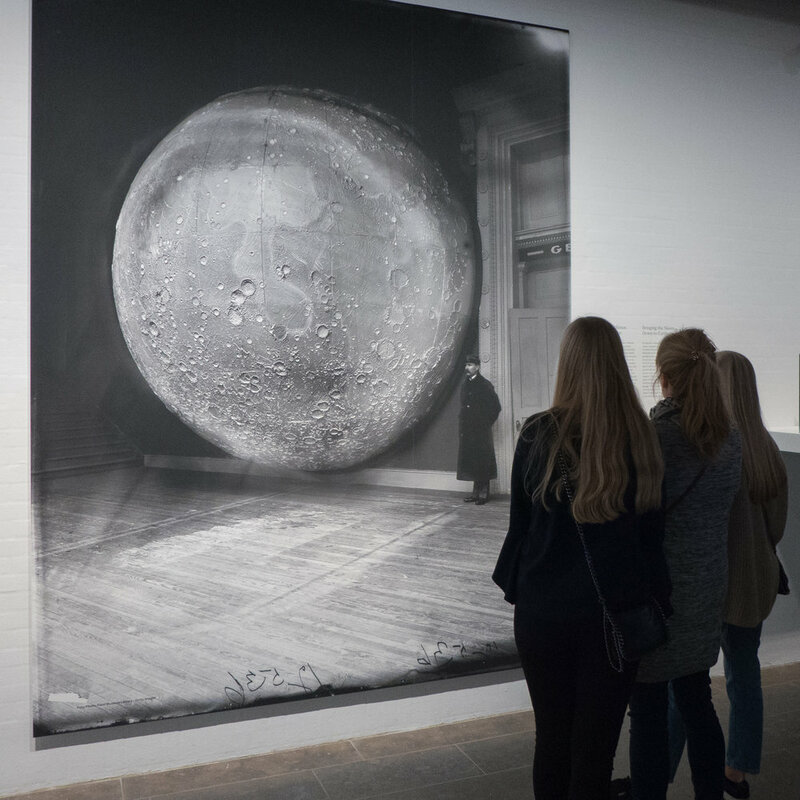 The main venue - with 32 galleries from the Nordic region participating to show paintings, drawings, sculpture and photography - is in the rooms on the first floor at Kunsthal Charlottenborg … the home of The Royal Danish Academy of Art on Kongens Nytorv . Over the weekend there are also many events including CHART FILMS, CHART TALKS and CHART PERFORMANCES and CHART MUSIC. 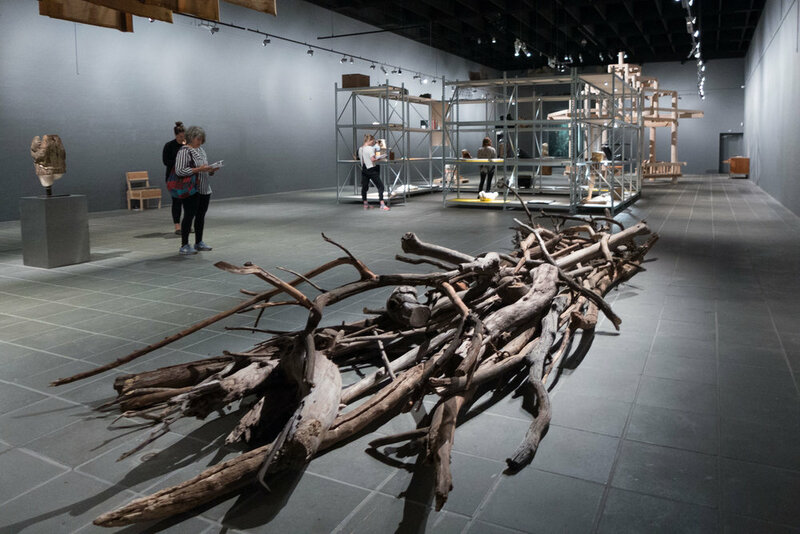 In the two large courtyards of Kunsthal Charlottenborg are five pavilions … the setting for what is called CHART SOCIAL. 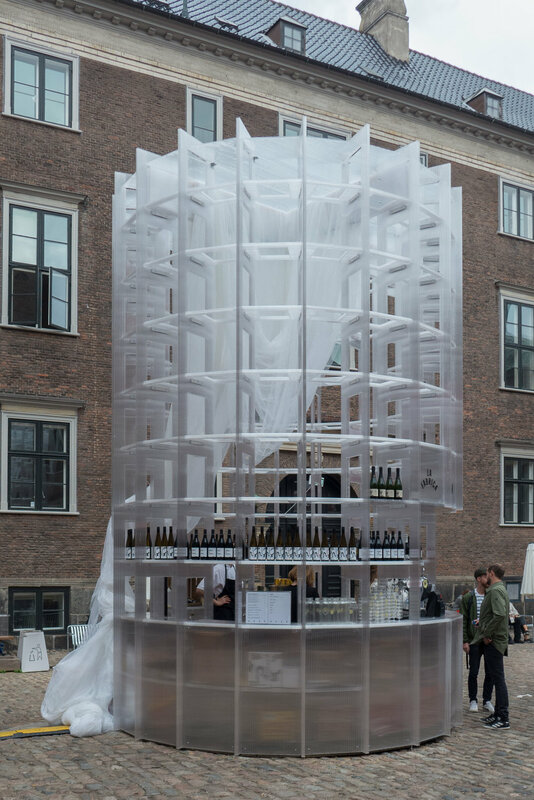 These pavilions or CHART ARCHITECTURE are the winning designs from an open competition held earlier in the year for young architects and architecture and design students. 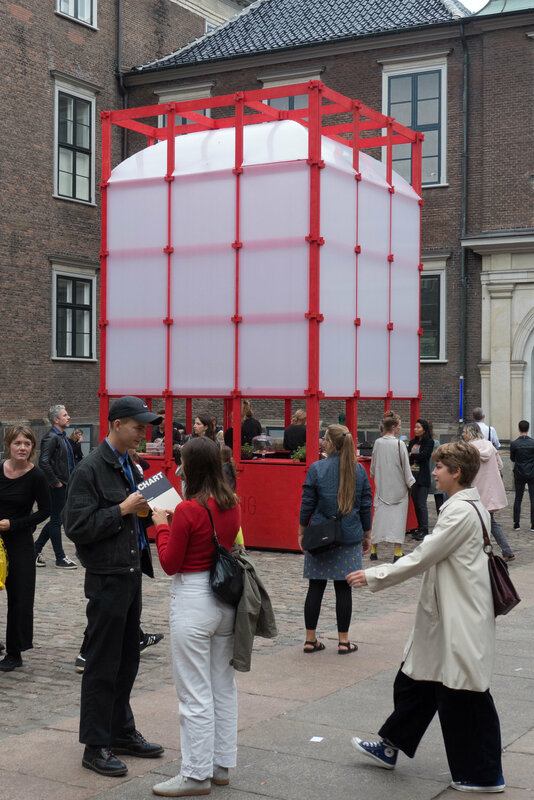 This is the sixth ‘edition’ of CHART but, for the first time, there is also a CHART Design Fair at the gallery of Den Frie on Oslo Plads in Østerport where twelve galleries from Denmark, Finland, Norway and Sweden are showing furniture and contemporary glass and ceramics. In the basement gallery at Den Frie is an installation by benandsebastian entitled Department of Voids … a space in two halves divided by a glass wall with the two parts mirrored … one with empty museum storage cases and the answering part beyond the glass with the objects reimagined and in glass. 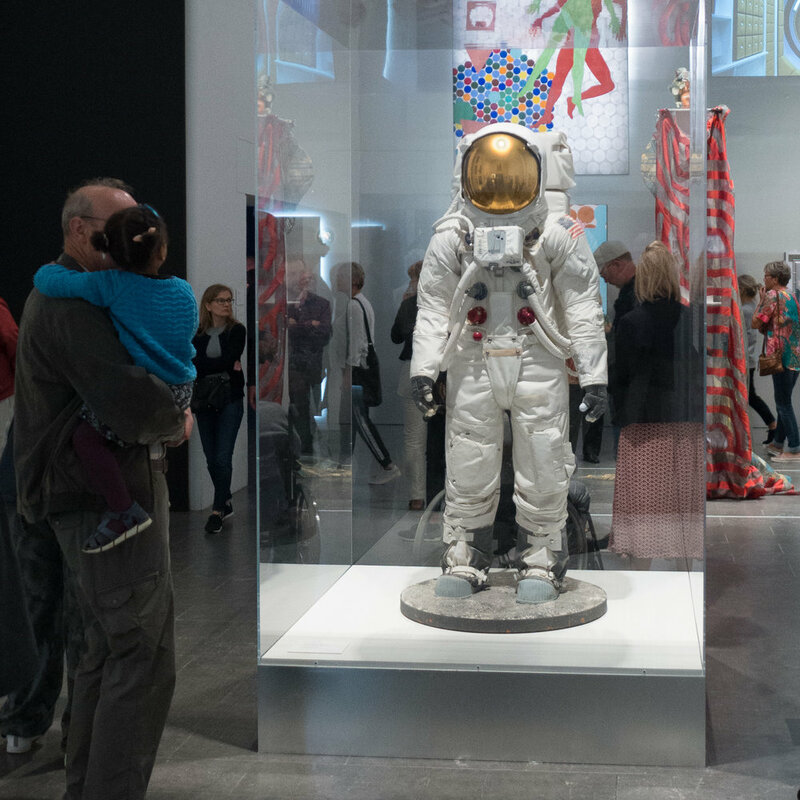 Dansk Møbelkunst are one of twelve galleries exhibiting at Den Frie in Copenhagen for CHART DESIGN FAIR. They showed some superb and unusual or rare modern furniture and, as always, of the very highest quality. 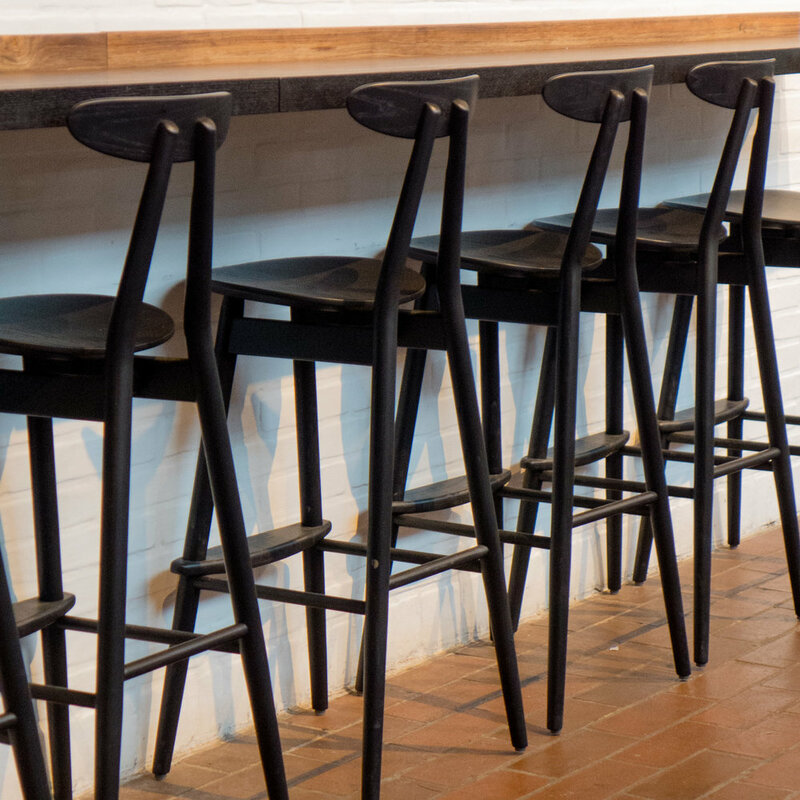 There was a pair of chairs designed by Kaare Klint in 1931 and called Mix. 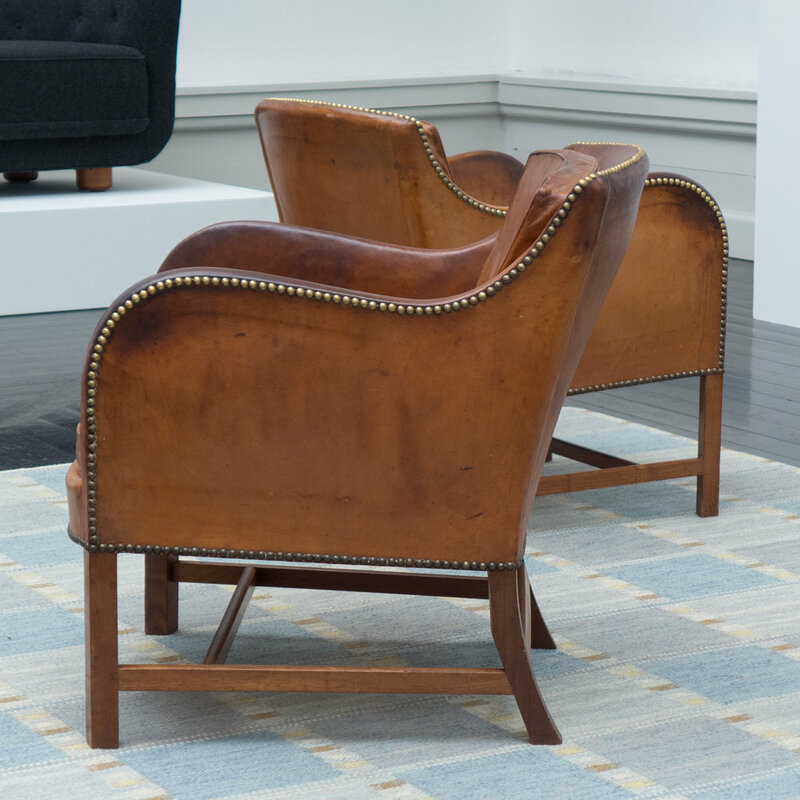 Edvard Kindt- Larsen may have collaborated in the design of these leather-covered arm chairs that were produced first by the cabinetmaker N C Jensen Kjær and then by Rud. Rasmussen. 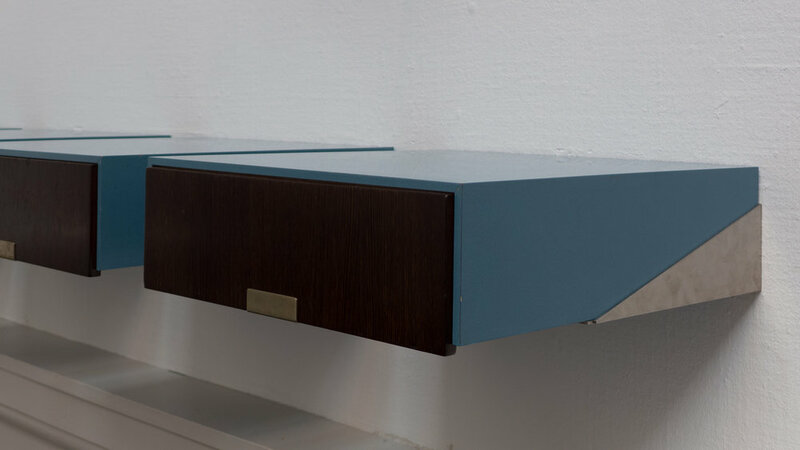 Also shown was one of the high-backed chairs designed by Arne Jacobsen for the top table in the hall of St Katherine’s College in Oxford and a set of three of the bed-side drawer units originally in the Royal SAS Hotel in Copenhagen.